Hello everyone! 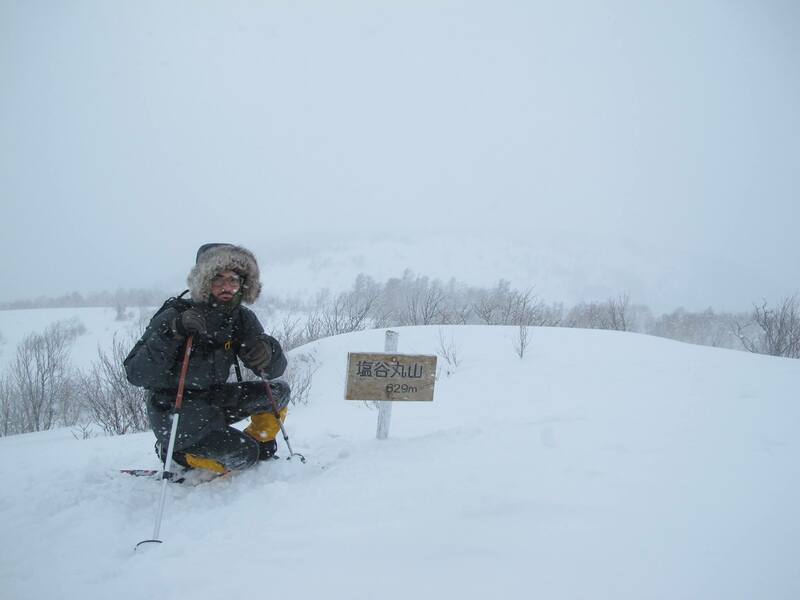 Recently, I went on a snowshoe hiking trip in Otaru. I also got to see the winter festival in Otaru. There was a lot of candles and it was neat to see all of the old buildings too! I had been to Otaru before, but I didn't have the chance to see the city. My older sister will come visit Sapporo next month. I think it would be fun to come to the cafe with her! We'll see what happens! I'm sorry to say, but after my sister's visit, I'll be leaving Japan and returning to the U.S. I've picked up many new hobbies, and met many new friends in Japan. I'm so happy that I came to Sapporo and I can't wait to explore the city with my sister! That's all! I was very happy to have met all of you at the cafe! Hope your are all doing well and enjoying the winter. As for me I'm getting ready to wrap up another school year soon. Always exciting to know that I will be able to forget all the stress of the past year but it's not here yet so I guess I gotta keep looking forward and working for now. The winter break was great, full of food, drink and snowboarding. What more could a guy ask for? Well besides a 26c days, white sand, blue water, fresh BBQ and ice cold bottled beer. I'll just keep doing what I'm doing until I have the money to be there I guess. But for now the powder snow, nomi hodai and ramen will have to do. It could be worse! It has been a long time since my last post! I hope you’re all keeping well! I am not a Tokyo lover but I spent 2 days there, last month. Although it wasn’t anything like a relaxing trip, I managed to do some sightseeing and wandered around Nakano-Broadway. I didn’t know what to expect but I must say that I am very pleased with my find! This place is the headquarter of any bargain-hunters, a bit like our popular flea markets in France. You could spend hours in there and yet not see everything. Anyway, I was strolling up and down this 3-floor building when I happened to pass by a retro bookstore, selling mostly some kinds of old dark magic books. Don’t ask me who or why some people would buy those, but the fact is that in the display window of this mysterious shop, sat a tiny blue doll. I had no interest in any of these books but the doll, though, stroke me. To tell you the truth, it was the exact replica of a tiny doll I used to play with when I was 2 years old or so, except that this one was blue and mine was beige. I loved that doll just because you could press its belly and hear a squeaky ‘pouet’! I played with that doll for years but like any children’s toys, comes a time when you put it away cause, you know, it’s too ‘babyish!’. Anyway, seeing the very same doll 30 years later, miles away from my country, staring at me through the window, I had to ask the old guy running the store if it was on sale. After a quick look he said ‘oh yeah, 500 yen’! So I didn’t think twice and I bought it! And there it is, my ‘pouet-pouet’ doll, back from the past sits now on my desk and guess what, it ‘pouets’ very well! And you guys, have you ever found any treasures at a flea market, car-boot-sale or at any other rummage sales?